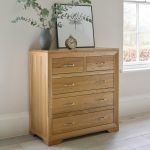 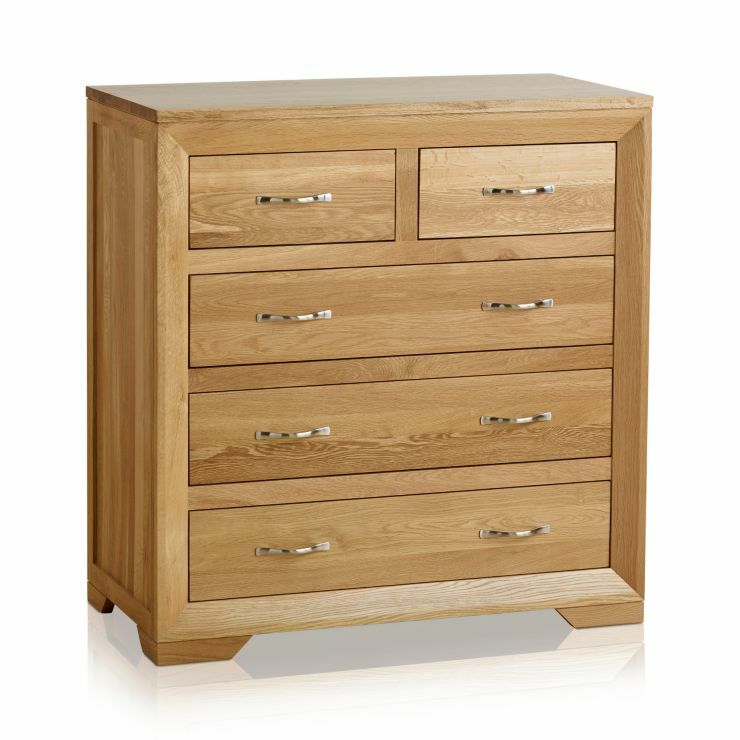 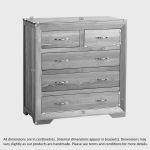 The Bevel Natural Solid Oak Five Drawer Chest is a contemporary unit with three full-width drawers and two half-width top drawers. 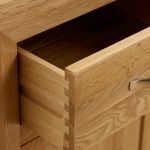 Every inch has been meticulously handcrafted by expert joiners from only the finest cuts of premium grade solid oak. 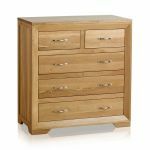 The design is refreshingly simple; it features a softly bevelled face frame with mitred corner joints, brushed metal curved handles and elegantly angled feet. 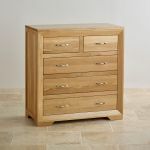 The drawers have been crafted using traditional dovetail joints to ensure exceptional quality and strength - and even the backs and bases are made from 100% solid oak. 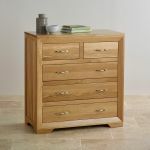 Although left unstained, the oak has been treated with a fine coating of Furniture Wax to enhance the exquisite grain structure.